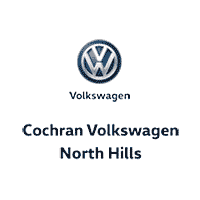 Our team at Cochran Volkswagen of North Hills understands the importance of our Clearly Better Car Buying experience. We are always ready to answer questions from our visitors and guests. Feel free to get in touch with us with any comments or feedback. If you are looking for more information about our new or used inventories, our service and parts departments, the financing options we have have to offer or would like to schedule a test drive, our team is ready to help you out. Send us an email, give us a call or stop by and speak with a team member in person.